China's 2017 fertiliser output reaches a nine-year lowest level. This shows the determination of the government to limit the overuse of chemical agrochemicals, supported by the policy zero growth of chemical fertilisers and pesticides by 2020. At the end of February, the National Bureau of Statistics of the People's Republic of China issued the Report on National Economy and Social Development in 2017, revealing an overall fertiliser output of 61.84 million tonnes, a drop by 9.43 million tonnes from 2016. According to market intelligence firm CCM, this total output hit the lowest point in the past 9 years. 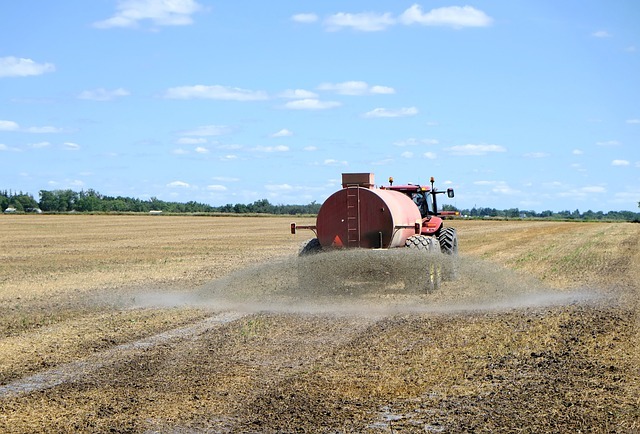 The main reasons for the remarkable drop can be found in the more stringent environmental protection inspections and higher pollutant discharge standards, which have eliminated outmoded fertiliser capacity from the market. Also, the supply-side structural reform has further reduced domestic capacity. On top of that, operating rates of China's fertiliser industry remained low in 2017 because of smaller demand triggered by falling grain prices. As environmental protection and work safety inspections become more frequently in China, phosphate fertiliser companies are likely to curb production. Also, the elimination of outmoded capacity will continue in 2018, leading to balanced market supply and demand. Prices of raw materials such as phosphorus ore and synthetic ammonia are possible to rise in 2018. Therefore, the operating costs of phosphate fertiliser manufacturers will keep an upward trend, forcing them to quote for higher prices. The actual transaction prices, on the other hand, will also be determined by downstream demand and market supply. Along with the fertiliser output, China’s fertiliser exports decreased as well. China exported 2.25 million tonnes of fertilisers in Dec. 2017. In the past 12 months, China's overall fertiliser export volume and value declined by 8.9% YoY and 7.1% YoY. The trend has shown the accuracy of the predictions by CCM that were made in early 2017. According to the prediction of CCM, the year 2017 would show a significant decrease in the output, demand, as well as the export volume of fertilisers in China. The main factor, that would have a huge impact on the trend was the effort of China’s government in implementing new environmental protection measurements. The reasons, that the whole market will remain on a low level in China in 2017, have been analysed to be mainly due to the continuing process of de-capacity. Our team took part in the 19th China International Agrochemical & Crop Protection Exhibition (CAC 2018) in Shanghai. Known to be one of the research and opinion leaders of the Chinese agrochemicals market, CCM’s General Manager Usman Khan has given a presentation on the first day at the 9th China International Fertiliser Show (FSHOW 2018), that comes together with the CAC. In the speech, he outlined the development of China’s fertiliser industry to the crème a la crème of China’s fertiliser leaders and gave recommendations of how to deal with the development. Mr Khan gave an overview of China’s fertiliser industry from 2015-2017. During this period, the market saw year-by-year falls in fertilisers export volume from China. 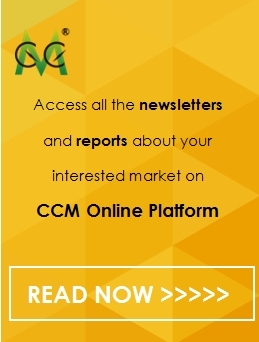 Get regular exclusive market insights by subscribing to CCM’s monthly published fertilisers Newsletter with insights into market trends, policy changes, company dynamics, technology advances, and any newsworthy story. Take part in the discussion by joining our LinkedIn group or Facebook group.